Welcome to the all new 360 Podcast, an all-around look at student-centered education. Through interviews with experts both on campus and further afield, we will be exploring various aspects of a great education. If you have any questions or suggestions for the podcast, please let us know at 360podcast@parktudor.org or via Twitter @360podcastPT. In part 2 with Dr. Lori Desautels, we discuss how we as parents and teachers can model best practice with mental health, whether technology can be helpful or harmful when it comes to mental health, and the implications of the Adverse Childhood Experience study. In part 1 with Dr. Lori Desautels, we talk about mental health and anxiety in children. In part 2 with Brent Kaneft, we talk about faculty observations and our use of space to optimize teaching and learning. In part 1 with Brent Kaneft, we see what's next for Park Tudor after reading Neuroteach. 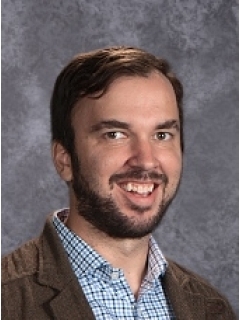 Mr. Pumphrey taught Middle and Upper school math in London before moving to Indianapolis in 2012. He taught Algebra II and Statistics at Herron High School before joining Park Tudor in 2014. He now teaches middle school mathematics and is also lead faculty and founder of the summer School of Entrepreneurship and Design for high school innovators. Mr. Pumphrey co-presents and directs the school's 360 podcast, discussing topics around student-centered education. He has recently completed his Masters in Learning and Teaching at the University of Oxford where he was given an award of distinction for his research with regards to mathematics task design and student engagement. In addition to teaching AP Language and Composition and Ninth Grade Honors English, Ms. Gellin serves as the advisor of the Artisan, the Upper School's nationally-awarded literary and arts magazine. Off-campus she has been awarded a position on the national committee for National Council of Teachers of English (NCTE) Program to Recognize Excellence in Student Literary Magazines Advisory Committee, the Teacher Recognition Award and Medal from the Alliance for Young Artists and Writers, and a generous Fellowship Grant from the English-Speaking Union to study in London at Shakespeare's Globe. 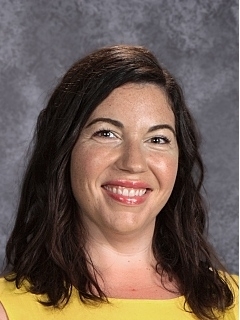 Over the past few years, she has presented at the national AP Conference, the national NCTE conference, the national ISACS conference, the statewide Indiana Teachers of Writing Conference, and the statewide Indiana Association of Independent Schools Conference. She taught for the Johns Hopkins University Center of Talented Youth program for several summers, teaching both English and interdisciplinary courses to gifted and talented students. From 2004-2006 she was the Ninth-Grade Team Leader and a Middle and Upper School English teacher at Gaston Day School in Gastonia, NC.